Our sincerest apologies for the late update of this site. Currently we have been working on the development of our new project http://www.taekwondoplayers.com which will include a host of new information and services!! 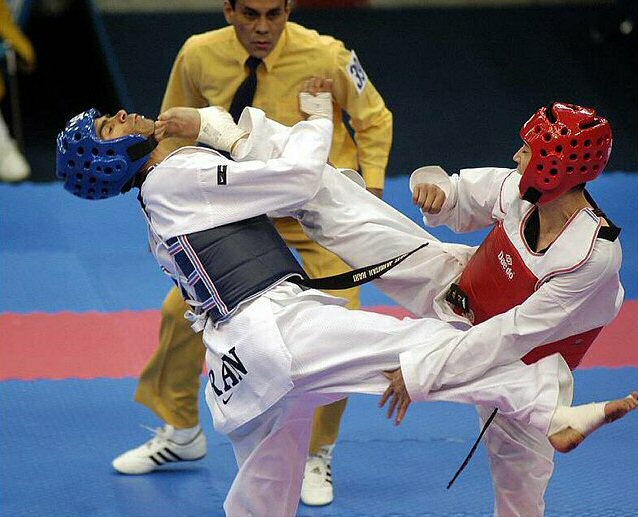 We have not provided any results for the 2005 World Taekwondo Championships. Click on the right link for a full list of results online and competition report on the news section!! WORLD TAEKWONDO CHAMPIONSHIPS DVD NOW ON GENERAL RELEASE! GO TO www.tkddvd.com TO ORDER YOUR COPY TODAY! NEW WORLD TAEKWONDOPLAYERS PROFILES COMING SOON!! Click on image to the left for 2005 World Taekwondo Championships Official website! The 2006 World Taekwondo Cup will be held in Colorado Springs, USA on 4-9th May. Junior World Championships, World University Championships and Asian Taekwondo Championships results are now online at the results section. Thanks for visiting the Taekwondo Players website. This is a dedicated site for devoted Taekwondo practitioners who want to view profiles of some of the best Taekwondo competitors on the World stage today. The site contains a series of profiles, latest WTF Taekwondo news and information regarding WTF Olympic Taekwondo. CHECK OUT VIDEO SECTION FOR MOON DAE SUNG OLYMPIC KO VIDEO!! "THE NO. 1 TAEKWONDO WEBSITE IN THE WORLD!" SEE THE RESULTS FOR THE FIRST, SECOND, THIRD AND FOURTH DAY OF THE WORLD QUALIFIERS FOR THE MALE AND FEMALE OLYMPIC WEIGHT CATAGORIES ON THE RESULTS PAGE!! Now check out the site for all the latest news and results coverage from the 2005 World Taekwondo Championships that were held in Madrid, Spain. REGIONAL OLYMPIC TAEKWONDO QUALIFICATION EVENT DATES AND RESULTS. JAN 22-23 2004: African Qualification Tournament for 2004 Olympic Games SEE RESULTS ON RESULTS SECTION. 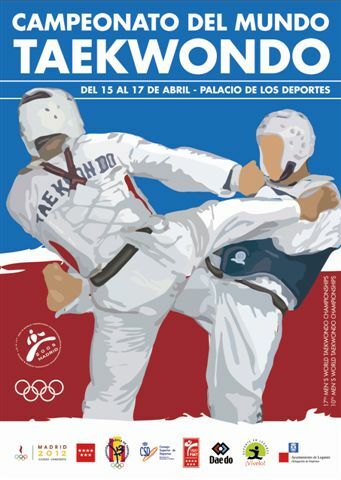 JAN 31-FEB 1 2004: Pan American Qualification Tournament for the 2004 Olympic Games SEE RESULTS ON RESULTS SECTION. FEB 14-15 2004: Asian Qualification Tournament for the 2004 Olympic Games SEE RESULTS ON RESULTS SECTION. FEB 21-22 2004: European Qualification Tournament for the 2004 Olympic Games SEE RESULTS ON RESULTS SECTION. Check out all the updated information and reports from the 2003 Summer Universiade which is held at Daegu, Korea. All the results are posted at in the results section and a report from the Games is available on the news section. 2003 WORLD OLYMPIC QUALIFICATION TOURNAMENT FOOTAGE ON VIDEO SECTION!! Check out the 2003 WOQT footage on the Videos section on the site menu. There are many videos including New Rules competition action and Demonstration videos!! Enjoy! NEW AMENDED RULES COME INTO EFFECT!!! SEE NEWS SECTION FOR DETAILS. SEE RESULTS FOR THE 2002 BUSAN ASIAN GAMES ON THE RESULTS SECTION. NEW FEMALE WOQT TAEKWONDO VIDEO ON VIDEO SECTION!! 2005 WORLD TAEKWONDO CHAMPIONSHIPS REPORT ONLINE! !